During this Lenten season, we invite you to help make the dream of expansion and upgrades necessary to meet the growing student population of Nazareth Academy a reality. Your financial support will be a blessing for students, staff, family, and for you. Seventy-two years – that’s how long it has been since the first six Sisters, impelled by the love of Christ, traveled in 1947 from Kentucky to Mokama, India. 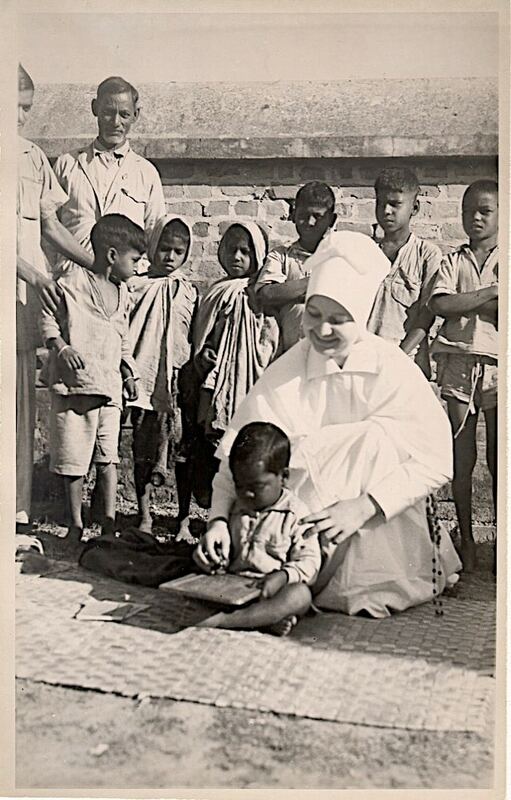 What could they have been feeling and thinking as they established Nazareth Hospital, the first mission of the Sisters of Charity of Nazareth in India? Could they ever have imagined that the same campus would be teeming with life and ministry in so many and varied forms? During the bicentennial year of 2012, in response to a long-standing request of the people, the Mokama campus became home to an educational venture, Nazareth Academy. During the opening celebration of Nazareth Academy on April 2, 2012, 26 excited students were admitted to the school. Within the next six years, the Academy flourished and is now “bursting at the seams” with 600 students and 30 staff members. Expansion and upgrades are necessary to meet requirements of the growing student population. Construction of two floors of classrooms, a staff room, computer and science labs, library, and bathrooms is part of the dream to insure quality education for students. During this Lenten season, Sisters give thanks to all of the donors who are helping make this dream a reality. Financial support is a blessing for students, staff, family, and for donors.